A native of Venice, Crivelli spent his career mostly in the Marches, along Italy’s Adriatic coast, where he perfected a very personal art of intense emotion and ornamental splendor. In this painting, acute suffering is conveyed by the variety of grieving expressions and by the intertwined hands of Saint John and Christ-one tense with grief, the other rigid in death. 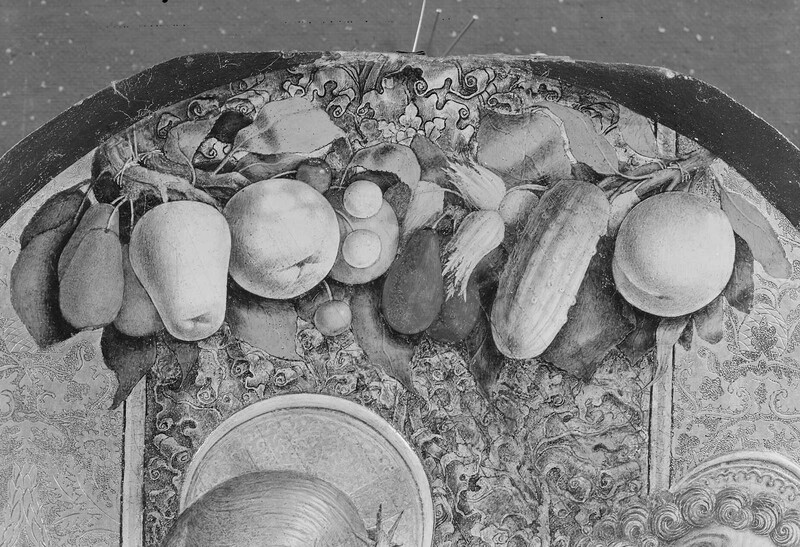 At the same time, the striking swag of fruit and vegetables and the three-dimensional decoration in the haloes and costumes give this image the quality of a precious object. 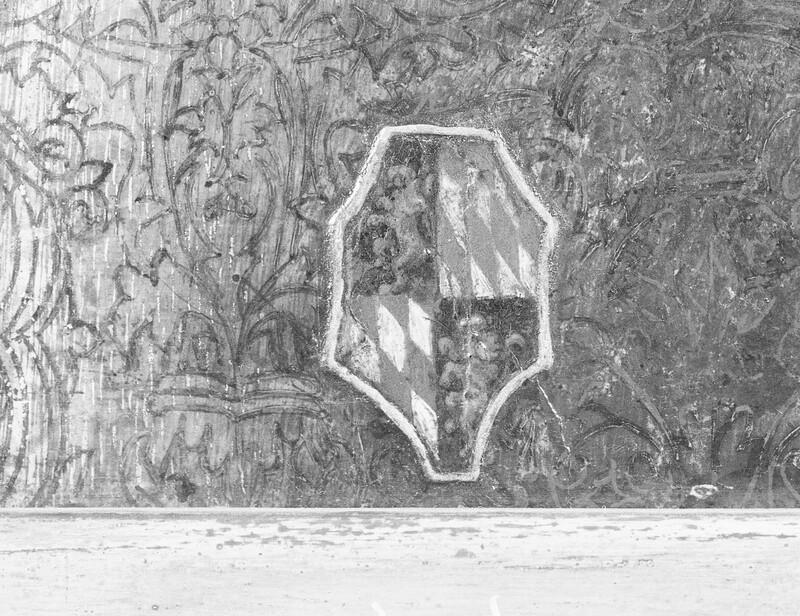 The picture’s shape and its viewing point, well below the level of the figures, suggest that it may have been the central panel of the upper tier of an altarpiece. Seen by Otto Mündler on September 23, 1856, as recorded in Book I of his travel diaries, fol. 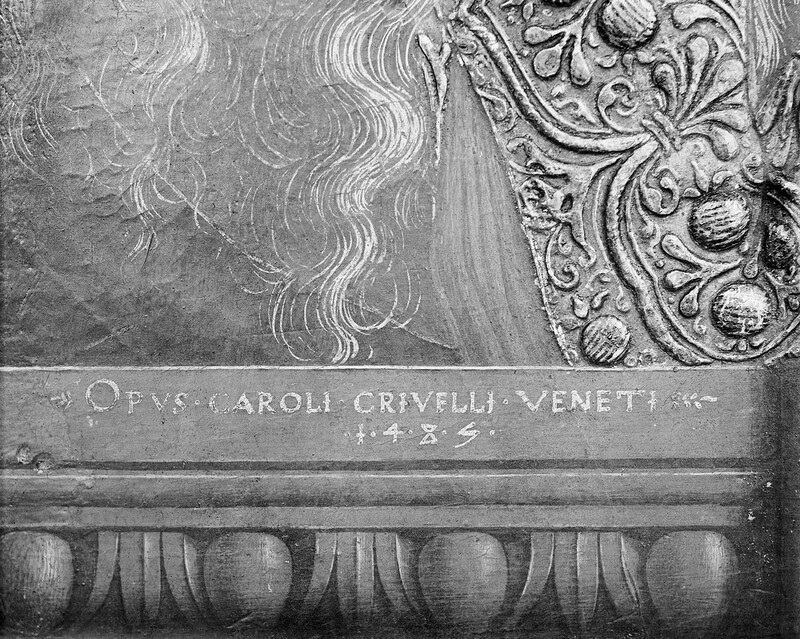 63v ("Palazzo Panciatichi. 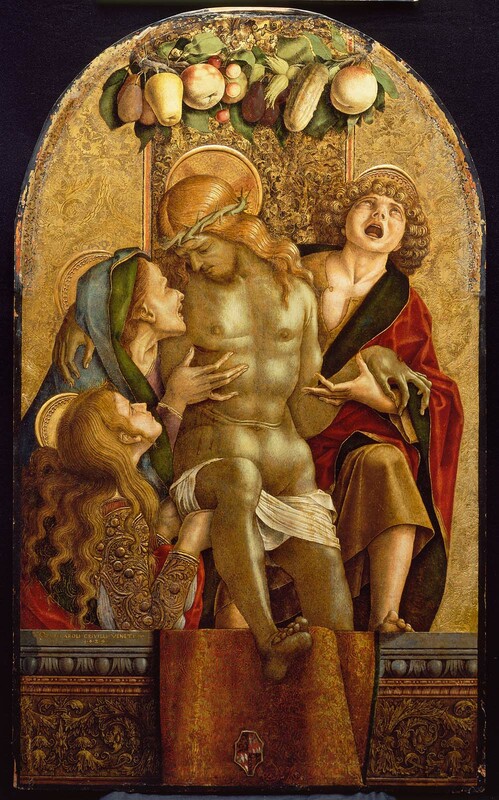 ... A charming little 'Pietá' by Carlo Crivelli, signed and dated 1485"). See "The Travel Diaries of Otto Mündler, 1855-1858," Walpole Society, vol. 51 (1985), p. 131. A label on the reverse of the panel bears a customs stamp from Milan and is dated 1901. Also see Walter Muir Whitehill, "Museum of Fine Arts, Boston: A Centennial History" (Cambridge, MA, 1970), vol. 1, p. 190. John Marshall was a friend of Edward Warren and often purchased on his behalf.